Fairest and sweetest of all the flowers, the rose. A timeless emblem of love, the Victorian language of flowers indulged in its symbolism like no other. In fact, the Victorians developed an expression of the sentiment’s many nuances with variations of hue and stage of the rose. 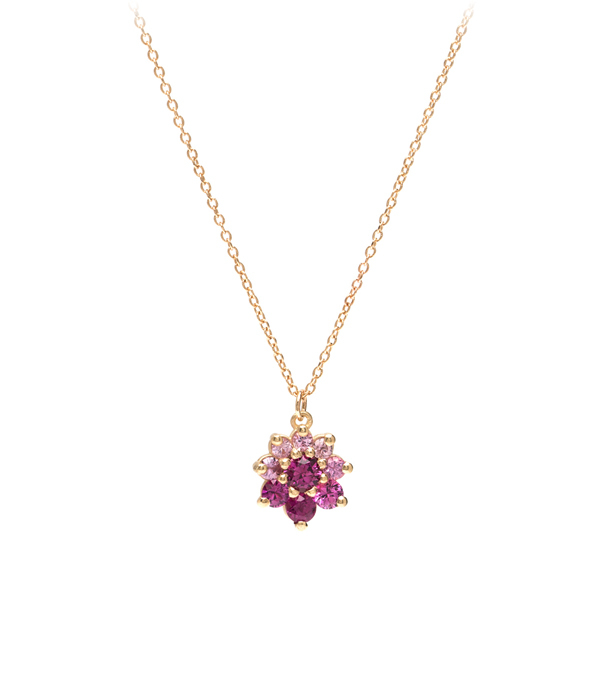 Our petite gem-encrusted rose pendant is set with graduated shades of pink sapphires (1.00 ctw) hinting at a secret love. 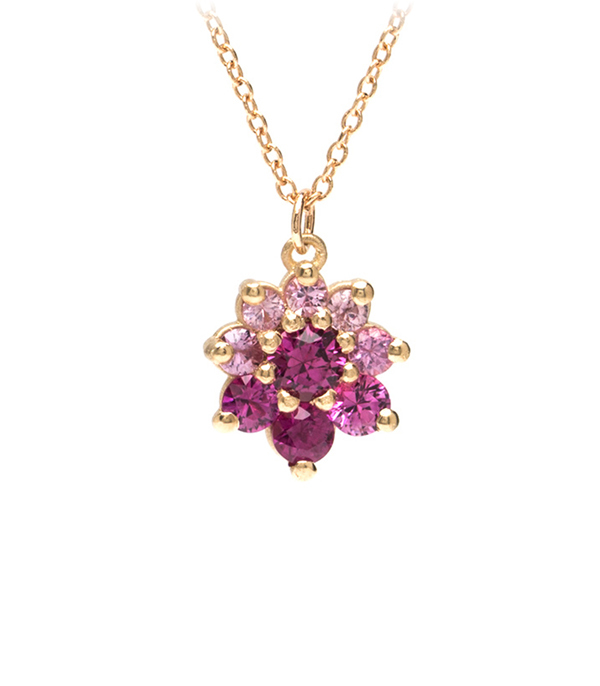 We find this pendant makes a colorful addition to any wardrobe and its secret message is an added plus. A rose by any other name would smell as sweet! Chain measures 18".